Missing Bees: Where Have All Our Bees Gone? Missing Bees: Why Are The Bees Disappearing? Missing bees. It almost sounds like we misplaced something, and now we’re wondering where to find it. Unfortunately, this isn’t the case – bees are not simply in hiding somewhere, waiting for the right conditions to venture out. Our bees have been disappearing for some time now: in the case of wild bees, this has been gradual over the years, but we’re witnessing steeper declines more recently (and extinctions) of some species. 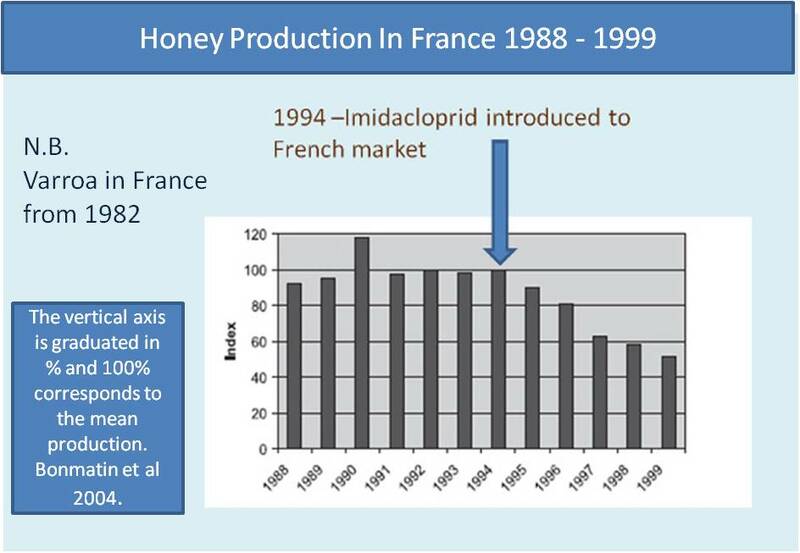 honey bees disappearing from hives, or sudden colony collapse disorder - this is in my view, related to pesticide use. however, there is another issue: bee decline generally - in part, also down to pesticide use, but also habitat loss and other things. Politicians and policy makers certainly in some countries, are dragging their feet rather than taking swift, constructive action. Alright, so most of my website is fairly light hearted. From the start, I wanted to write things that were easy to read for a large number of people. Getting the balance right between providing easy-read information, and putting across the issues where I can, is not always easy. The fact is, however, I’m greatly distressed about our missing bees – and not just honey bees, I'm concerned about all of them – including the lower profile, but still very important wild species. 'Public opinion can create massive change, but in order for that to happen, the public need to become more aware of what is going on. I believe that swift, positive change happens when more people act to do the right thing and get informed – that's where you come in! 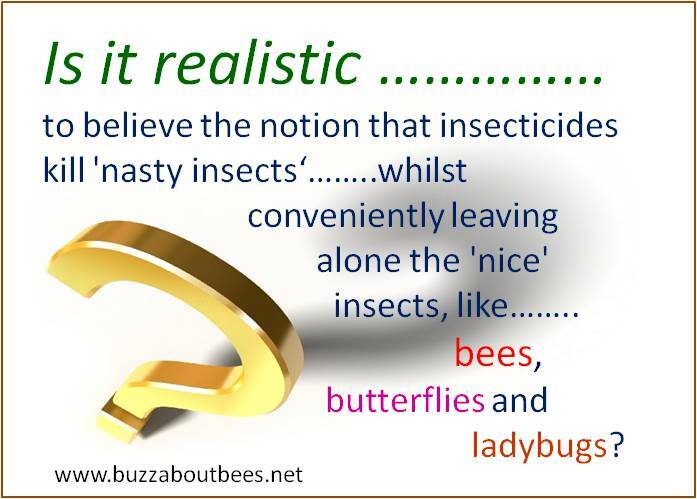 Even if it only means you tell others about the missing bees problem, and how we can do our bit. So back to the issue of missing bees. Personally, I think we humans need to remove our heads from the sand, and genuinely take responsibility. With regard to pesticide use, I believe the honey bees are teaching us a worrying lesson - we need to stop poisoning the planet. But we also need to address other issues, such as habitat loss. Let's look at what we’re planting and the chemicals we’re using if any. Over the years, I've watched various trends toward convenience land scaping - especially through hard-scaping, use of plants that have minimal benefit for pollinators, and sprayed with pesticides to keep 'weeds' away. 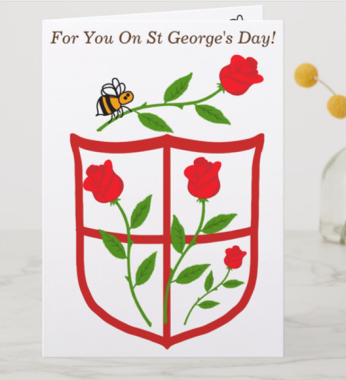 However, I'm hopeful that more people are becoming increasingly aware of the need to cut out the chemicals and plant flowers to help pollinators and other wildlife. Even in small spaces and difficult conditions, there is generally something we can plant to help bees. 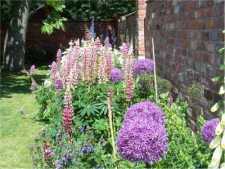 Find out more in my link (opens a new window) about how to create a bee garden. 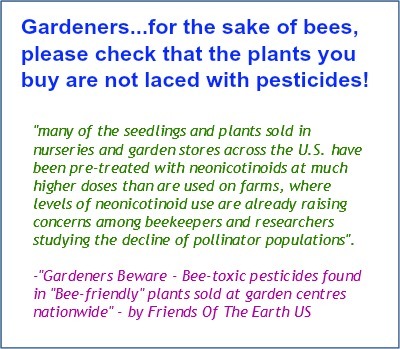 Also, try to ensure the plants you buy are not contaminated with pesticides. The ways in which land is managed by farmers, and also public institutions (such as public park lands and planting schemes), have become increasingly detrimental to the very framework of the nature and environment that supports us. Yet there is much local councils can do to help pollinators - some initiatives would cost very little. And we ourselves can put pressure on our councils to do their bit. Lobbying government and councils to adopt an approach - a Regional and/or National Pollinator strategy, would be a positive step, provided that the strategy is worth the paper it's written on! I pulled together a proposal for a pollinator strategy here. It contains a broad number of issues, from habitat to agrochemical regulation. However, I'm pleased to report that many farmers are now seeing the light. Below is such an example: this photograph does not do it justice, but I have seen the pollinator margin around this field several years in a row, at different times of the year. This generous pollinator strip, along with the surrounding hedgerows, shrubs and trees, are wonderful for wildlife, and very encouraging to see. 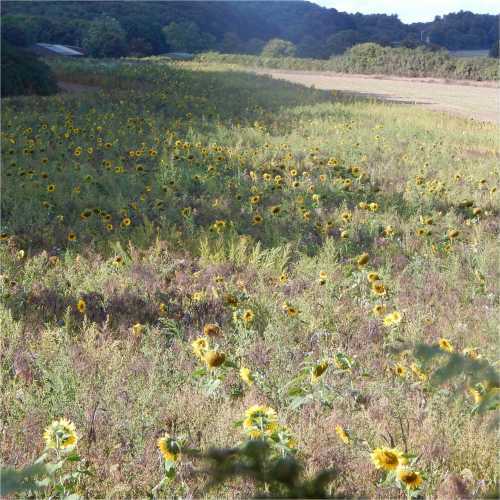 Now - what if all agricultural fields had a pollinator margin like this? Pesticide use is of real concern, and especially particular kinds of pesticides harming beneficial insect life, which ultimately has a knock on effect all the way up the food chain. (Not to mention of course, the potential for wider pollution in terms of water contamination and the effect on aquatic life). Neonicotinoids have come under close scrutiny in recent years. You can read more about neonicotinoids and bees here. Neonicotinoids include imidacloprid, thiacloprid, thiamethoxam and clothianidin, among others. Do we really need insecticides, and are they really harmless for beneficial insects? Read about how neonicotinoids work. We're constantly told that farmers need to produce more, and in order to do that, they need to preferentially engage in certain farming practices - at the expense of wildlife and the wider environment. Yet much of their advice for pest threat comes from those who have an interest in selling insecticides. Farmers need independent information. The good thing is that ever more farmers are willing to contribute to helping the environment, and research raises questions about whether neonics help farmers increase their crops in any case. At the same time, the wealthy nations throw away tremendous amounts of food! I believe we need to rethink the way we manage our land and food supply, but this also means that the everyday person in the street needs to think about their choices of food, and they need to reduce wastage. Oh, and there are actions we can take (sometimes quick, and simple ones) to encourage our governments to make environmentally friendly policies. Meanwhile, a UN report stated that we waste one third of the food we produce, globally every year! Isn't that astonishing! Read the report here. The fact is, huge amounts of natural wildflower habitat are and have been lost, due to farming practices, building development, urbanization - or even for the building of golf courses. When habitat is reduced and then becomes fragmented, this can accelerate bee declines, because it causes in-breeding. In-breeding causes all kinds of problems, such as in bumblebees, it can result in the producing of male bumblebees instead of female worker bumblebees. 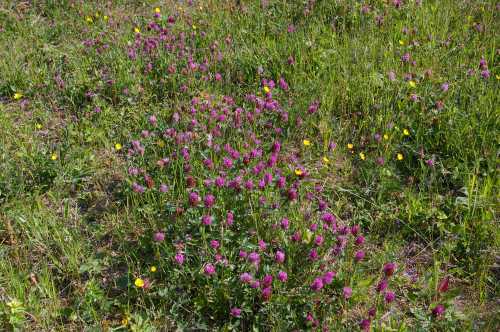 Obviously, reduction of habitat means less food for bees and fewer nesting sites. It's true that some farmers are doing their best to plant pollinator margins, but we ourselves can play a part, by including wildflowers in our gardens. Then again, it's not just about flowers either. Many are providing bee houses in their gardens and yards, to provide a space for bees to nest. 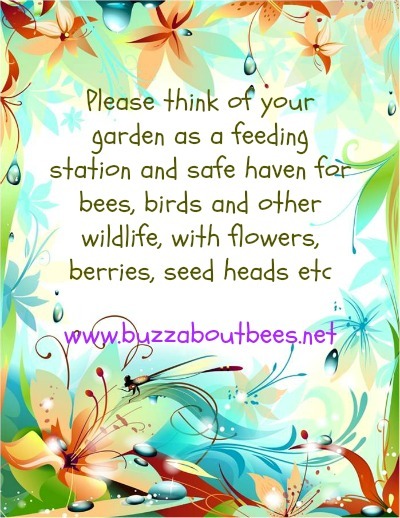 This is especially helpful for solitary bees, such as leafcutters and mason bees - you can watch videos of bees using my own bee houses by clicking on those links. Wildflower seeds are available from Amazon US. Many beekeepers have been battling with viruses, mites - such as Varroa mite and so on for years, whereas 'Colony Collapse Disorder' (perhaps the term most commonly associated with the 'missing bees' phenomenon), is a relatively new issue that beekeepers have encountered. There are many beekeepers who care greatly about the welfare of their bees. However, beekeeping is, I’m afraid, like any other industry: there are those who engage in good practice, and those who engage in bad. We need to be respectful of the way bees and beekeepers work hard to bring honey to our tables. Personally, I think we need to think more about our purchases, and that includes honey. The idea that honey could be unethical barely crosses the minds of most people. If we want to continue eating honey, nevertheless, we need to balance that with the needs of the bees and be more respectful of the way honey is made. Sadly, there have been reports of contaminated honey, or honey that is not really honey at all, but part sugar. When fake or contaminated honey drives down the prices, beekeepers who are producing ethcially, are then undercut on price. How can they be expected to carry on, and to be able to afford and continue with high standards of care for the bees, in both time and financial investment, not to mention risk? You can read more about this issue on my page about buying honey. I think we need to stop expecting to buy honey cheaply, and pay attention to what we are buying. I’m afraid I do feel ‘big supermarket culture’ is largely responsible. After all, price competiveness is a major battle ground for retailers, who at the end of the day, are wanting a share of your cash. However, along with this trend, shoppers are expecting low prices, sometimes even well below what would be reasonable if you consider inflation, the effort that goes into food production, and wider issues such as environment and animal welfare. But there has to be a payback somewhere along the line. There’s no such thing as really cheap food. Meanwhile, as I said before, food wastage in the west is astonishing – actually, it’s shameful. for me, honey is precious, and turning honey in to a low value commodity is wrong. 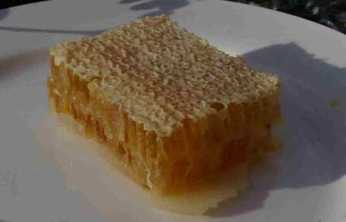 Read about buying honey. I think man’s greatest folly is in his belief that he really is the master of all nature, instead of part of an interdependent and amazing web of life. The truth is that nature could get along pretty well without man. Not so the other way round. And we forget that all of nature plays a role in the grand scheme of things. Whether it hops, crawls, slithers, flies, walks, swims, runs, wriggles....or whatever – and whether we like or understand it or not, it’s important to the grand scheme of things. Man has made enough mistakes to realise this: I think we need to stop tinkering with, and actually revere nature. Why do we need to worry about bee decline and the phenomenon sometimes referred to as 'missing bees'? Well we need to worry about bees because of the crucial role they play in the eco system. They are considered to be one of the ‘canaries in the mine’. When something bad is happening to our bees, we know there is a serious problem in the environment that eventually will affect man. When our bees are disappearing, we need to take action, and we need to get a move on FAST. Albert Einstein is said to have predicted that if bees left the earth, man would have 4 years to survive, but it's debatable that this is what he really said or meant. 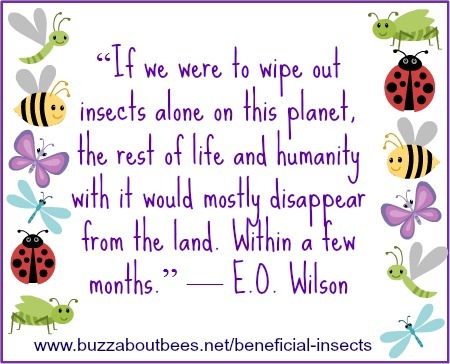 I tend to think we don't really know what the consequences would be if we wipe out more bees and other insects. However, today, it is believed that 1 in every 3 mouthfuls of food we eat in some way, is reliant on bees. Then when you consider the wider environmental impact...... we can guess that we would lose species. But we don't know the potential effects of species loss. So much of what we take for granted, could be wiped out, relatively speaking, in the blinking of an eye before we understand its importance. Species that have been on this planet for thousands of years, could be gone in just a few years, largely because of the actions of humans. It could cause considerable strife, as well as economic and social pressures because of global food shortage. Not to mention the question 'who will control food'? Companies? it's ironic that the intense systems used to allegedly grow more food (though it's debatable that pesticides really help achieve this in all cases) - could actually help cause a food shortage! 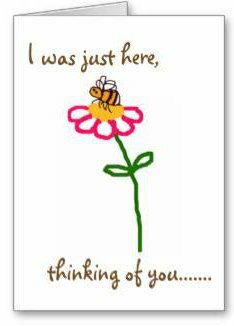 I don’t wish to end this page on a glum note, particularly since we CAN do something about this missing bees issue. 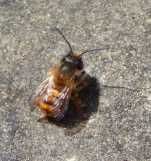 Link back from Missing Bees to Home page.